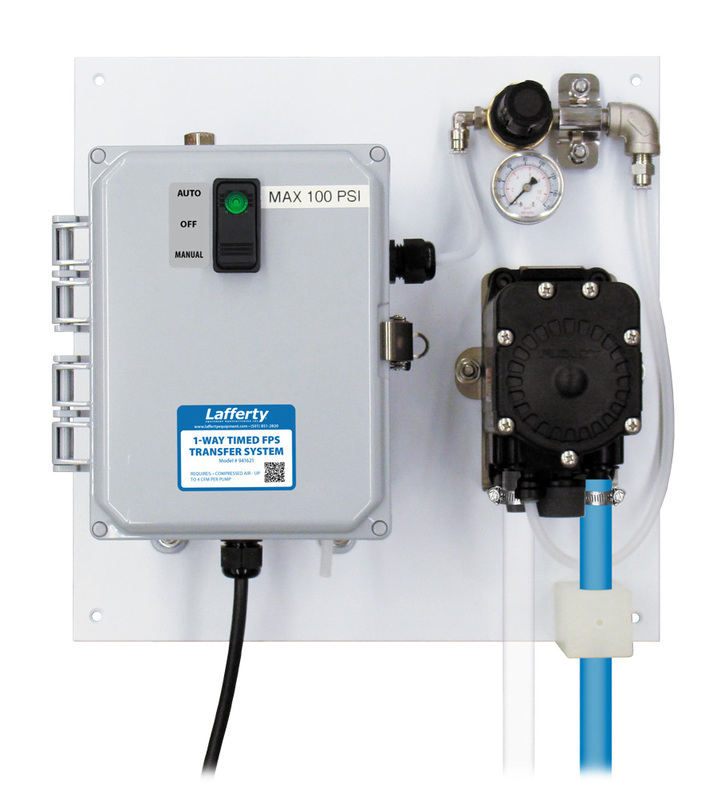 Timed FPS Transfer System | Lafferty Equipment Manufacturing, Inc. The Timed FPS Transfer System is a chemical transfer system for filling any sized container with chemical concentrate or ready-to-use solution. Compressed air powers a FloJet air pump which draws chemical from a bulk container and dispenses it into any other container. This unit features on/off rocker switch activation with an adjustable timer to help prevent over usage.